I love unusual instrumentation, and am often amused and entertained by the repurposing of non-musical items and objects for music-making purposes. The stranger and more overtly non-musical, the better, of course. 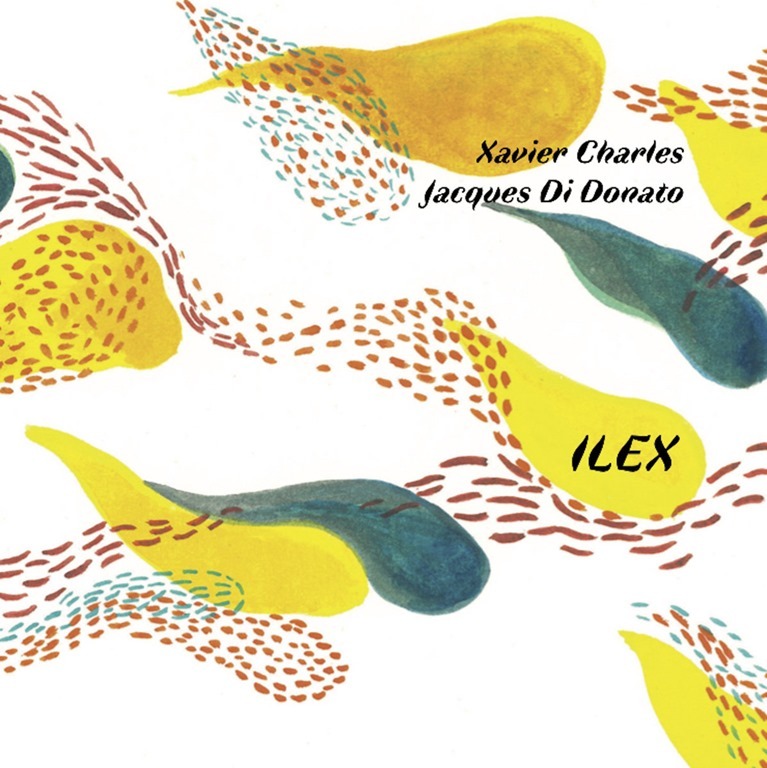 But do we really believe the credits on Ilex, which sees Xavier Charles and Jacques Di Donato (whose 12 Clarinets in a Fridge I covered somewhere at the time of release) reunited for a follow-up to 1995’s Du slavon glagol listed as playing ‘clarinet, helicopter’ and ‘clarinet, lawn mower’ respectively? I wouldn’t like to completely rule it out: although there are no obliterative motorised walls of noise blasting away the speakers at any point on Ilex, there’s a lot of distant drones, hums and extraneous noise in the background on a number of the album’s fourteen pieces. Born out of improvisation and subsequently evolved, each piece is different, if not entirely distinct, as the pieces often bleed together or are otherwise tightly packed. The lengths of the pieces vary considerably, too, from fragmentary, sub-two-minute interludes to complex, expansive compositions more than three times that. Collectively, they form a body of work which his often evasive in its ever-shifting form. In terms of mood or style, Ilex is neither one thing or another: it’s not even categorizable as experimental, really, slipping as it does from abstract to ambient to parping free jazz – although thankfully, there’s not of much of the latter. From hesitant, clattering percussive sounds, resembling tabla or similar small hand drums to sighing drones, it’s often difficult to relate the sounds to the clarinet, or, in some instances, any instrument at all. Ilex is, however, without question, abrim with clarinets. It pours, oozes and froths with a wash of clarinets. Clarinets that alternately trill and toots like The Clangers on a veritable cocktail of drugs, zipping from wired hyperactivity to opiate-slowed torpor. Often resembling strings rather than woodwind, elongated, woozy hums and drones abound, ominous hovering notes and scrapes and shards, whistles and tweets of feedback-like treble grate against one another, the resonances creating a subtle tension. On Ilex, the performers push not only the parameters of their instrument of choice, but also their playing, combining a mix of conventional and innovative techniques to create something that balances the familiar and the strange. It’s this juxtaposition that ultimately renders Ilex not only a most interesting work, but an artistic success.